Whitakers offers a wide range of bracelets and bangles, hand designed and custom made using white and yellow gold, along with an assortment of coloured stones and diamonds. This collection features an array of classic styles, such as claw set tennis bracelets and channel set bangles. Adorn your wrists in diamond bracelets and bangles and wear your heart on your sleeve. Simple in appearance, elegant in design and sophisticated in function, Whitakers bracelets and bangles will make a timeless addition to any jewellery collection. 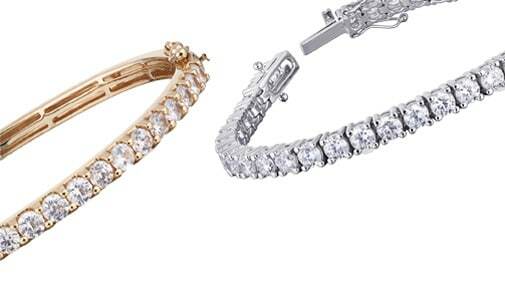 Browse our collection of diamond and coloured bracelets and bangles online or visit our Darby St boutique in Newcastle.